If you long for the ability to search from your address bar in Safari as is possible with other browsers, then UniBar for iPhone is exactly what you need. 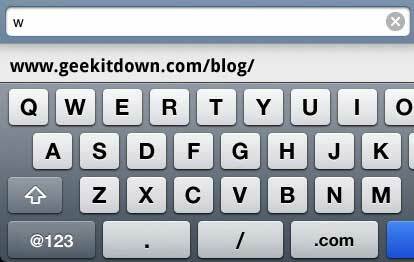 UniBar lets you search Google direct from the address bar in Safari. The tweak automatically applies itself, so after installation launch Safari and you’ll notice the search and address bar are one item. There isn’t much more to do except try it out. You can find UniBar through Cydia in the Big Boss repository for free. One large note about UniBar, in order for this tweak to work you’ll need to use a jailbroken iOS device.